Karen Faye is one of the reasons Michael Jackson fans have been divided and she seems to be basking in it since it provided her with a newfound limelight. Doesn’t she have her own circle of colleagues or friends? Why does a 50 something year old woman who has worked for the most famous man on the planet continues to hang with fans, revealing Michael’s personal affairs, violating his privacy time after time? Michael employed many people; only the ones seeking self promotion have exploited their association with Michael. Notice the website link on her twitter account? It’s her business contact in case you wish to “book Karen Faye”. Karen Faye keeps running her mouth regarding Michael's personal life both while he was alive and particularly after his death. Didn't this woman sign a confidentiality agreement? that she can't offer answers to, Karen, perhaps, can address the issues once and for all. As Mrs Faye is well aware, she is one of the reasons for fan division. If she is indeed advocating unity, why not answer burning questions? There are a handful of fans whom Faye jovially calls her "minions" who blindly support Faye. Then there are those who are in dark about her because Faye wouldn't answer questions so all we have to base our opinions about her is what's printed on Internet. I, for one, would like to hear answers directly from Mrs Faye. Considering her existance on twitter centers around Michael Jackson, I cordially invite Mrs Faye to be socially accountable and address the issues. Karen posted the pictures of Michael’s crypt on her facebook which ended up on TMZ. It is rumored that she sold them to TMZ whilst she defends that someone from her facebook must have sold them to TMZ. Faye's defense is that she shared them on her facebook for free, why would she sell them? Well, Karen, maybe posting them on facebook while selling them to TMZ was your cover so you can say “well I shared them for free”!!!! It wasn’t your place to share them, you misused your access! If the Family wanted the world to see Michael’s crypt, they wouldn’t have had a private burial. To date, Karen Faye offered no apology to Jackson Family for leaking the pictures. who was around Michael. She was the one trying to manipulate Michael and his world. I never saw Michael so miserable as I did when he was married to Lisa. Lisa has her album coming out she wants as much publicity as she can. What better way than to jump on Michael's popularity...everyone else does." During her Oprah Interview, when asked "you made a conscious decision to talk now, why?". Lisa Marie stated that she wanted to do the interview before her upcoming album. I can't help but wonder if her remarks was relevant to Karen Faye's accusations. Karen, who claims to be good friends with Lisa Marie Presley offered no public apology. Instead, she white-washed it by stating “I am a better person now and so is LMP, because we each have grown and learned.” Wouldn’t a “better person” offer a public apology since the damage was done in public? In 2004/2005, an official Michael Jackson fanclub was formed -MJJSOUCE- according to Karen Faye, by Michael Jackson and Randy Jackson. The fanclub offered an entended membership with perks such as meet-n-greets and even a dinner at Neverland with Michael. The package also advertised a goody bag which the members never received. The website vanished without refunding the paid members. According to some fans, Michael was unaware of the $50 membership fee. He ordered MJJSOURCE to be closed and fired Karen Faye. Michael had no contact with Faye until he allegedly called her in April for This Is It Tour which Faye confirms in an email. I haven't seen Michael since the day he was vindicated in court. I have nothing to do with his life. Everything you are telling me is news to me. I do not pay attention to anything that has to do with Michael. Upon above tweet, Faye was contacted for the above underlined remark which is very much open to being misconstrued as if the not guilty verdict was bought. She was requested to be more discreet and cautious. I found how Karen referred to Michael and her attitude very unstettling. The membership supported a website, that consisted of information on a celebrity. "She wants as much publicity as she can. What better way than to jump on Michael's popularity"
one must be prepared to accept others in return"
I don't condone personal attacks on anyone, including Karen. I neither blindly support her nor do I bash her just because. When you put yourself amongst people who are passionate about Michael, you should be prepared to handle the consequences of your actions. Having worked with Michael for 27 years, one would hope that Faye is equipped to deal with issues with grace. Throwing insults then blocking fans who don't worship her can't be the way. I meant to share what became too heavy for me to carry considering the public persona Karen Faye portrays. I kindly invite Faye to acknowledge the issues and keep the door for dialog open to ALL. Issues don't get resolved simply by her blocking fans or fans chastising her, there has to be a middle ground. All so true, So many fans have been living in the dark where this woman is concerned. And it is time that the fan community is made aware of her true character and lack of purpose. It makes you wonder, if she has grown to hate Michael and everything he stood for. Her actions since, his death have done nothing but exhibit a lack of respect and disregard for his legacy. She has manipulated and chosen to surround herself with people, who have chosen an alliance with her , over their alliance to Michael and his legacy. She has continually undermined every fan effort for justice . She has created secret groups and manipulated weak minded individuals to attack fans and stalk them. All the while, she wages war and discredits anyone who does not support her betrayal of Michael's legacy. 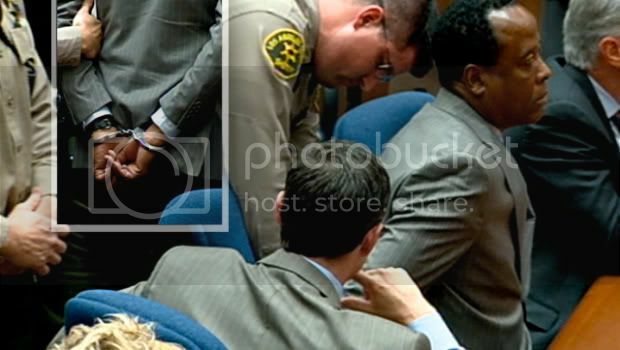 Karen Faye had to testify in a grand jury in 2005, because she ran her mouth about applying make-up to MIchael's injuries, that he received from the handcuffs after his arrest. she has insulted , Mrs.Katherine Jackson, and publicly called her the "dysfunctional matirach of the family, "causing division amongs Michael siblings. Her rantings about Debbie Rowe are disturbing and betrays the confidential informaiton, that she had access to. She comprises numerous hate list, which were given out to the worst of her dogs.=, so they can atack other fans. Karen sits at home and tweets to michael's fans all day with a scowl on her face becuase she ended up with a little short man, not so attractive when all along, wishing she had the man- she has always craved- Michael Jackson. Some fans, have chosen to turn away from the truth of Karen Faye. Because of a misguided belief that it is a connection to Michael. One day, the truth with come out. Karen Faye is responsible for the HUGE fan division and the damage she has done to Michael's legacy. Her damage to Michael's legacy is demonstrated by her effort to sell phony "MJ memorial bracelets" with a friend. Karen attempted to manipulate fans in buying the bracelets by saying she placed the bracelet on MJ's wrist when he was in the coffin. A horrifying manipulation and fabrication of the fans Michael loved, so. She lied , when she claimed ,she did not know- how the ForestLawn photos ended up on TMZ and was exposed when it was revealed that TMZ puts on watermarks, on photos that purchased from the original owner, Karen Faye.